What is the Maine Coastal Program? The Maine Coastal Program is a partnership among local, regional, and state agencies for the purpose of managing Maine's coastal resources for the public benefit. Formerly a program of the Maine Department of Agriculture, Conservation and Forestry, the Maine Coastal Program is now a Division of the Maine Department of Marine Resources. In 1972 Congress responded to the rapid deterioration of coastal areas throughout the nation by passing the Coastal Zone Management Act. Administered by the National Oceanic and Atmospheric Administration, the law authorized funding for state coastal programs around the country to improve the environmental and economic health of America’s coastal areas. 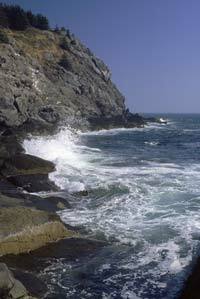 The Maine Coastal Program was established in 1978 and is administered by the Department of Marine Resources. Through this networked program, no one agency or department is responsible for the entire coast. Rather, all partners help ensure its proper management. The result of this balanced approach is a healthier coast--and a better future for communities. Where is the Coastal Zone? 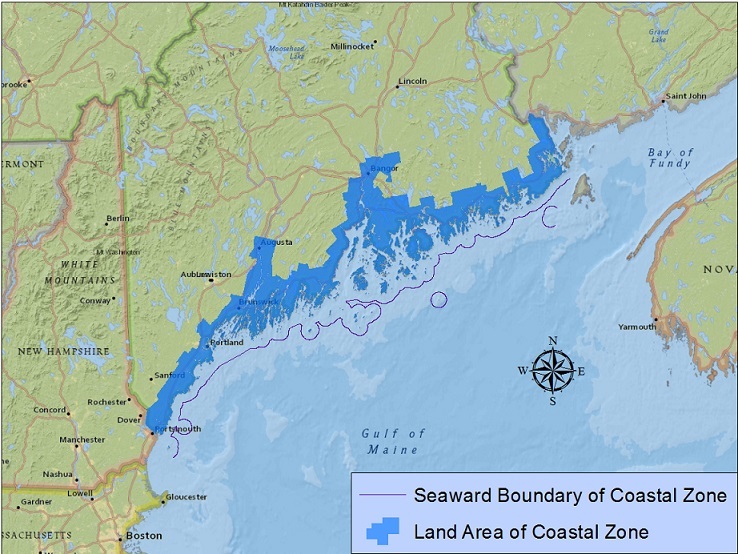 Maine's coastal zone includes the inland line of coastal towns and townships on tidewaters and all islands. What does the Coastal Program do? The Maine Coastal Program distributes Federal funds matched by state and local sources—to enable on-the-ground projects that benefit Maine’s coastal communities. Whether remediating coastal pollution, mapping our coastal benthic habitat, promoting smarter municipal planning, or engaging local coastal citizens in stewardship of their resources, the Coastal Program constantly seeks ways to improve the quality of life on Maine’s coast. How is the Maine Coastal Program organized? The Maine Coastal Program, administered by the Department of Marine Resources, is a partnership among local, regional, and state agencies. It also collaborates with many private organizations, such as local land trusts and economic development groups. Who are the Networked Agency Partners? See the Staff Directory and enter "coastal" in the search box on the right.